A standard light switch shouldn’t get hot. If it feels much warmer than room temperature to the touch, it’s an indication that there is something wrong. A hot light switch isn’t something to ignore. There is a problem that could potentially cause an electrical fire. Tracing down the problem can be difficult for anyone that’s not a trained electrician, but there are a few things you can do to help determine the problem and see if you need an electrician. 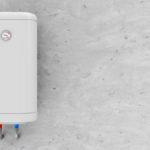 Here’s a look at the most common problems that can cause a light switch to get hot and what to do about it. First, let’s determine the type of light switch we’re talking about. Light switches get warm because of the electricity running through them. This can be a problem for a standard light switch, but it isn’t a problem for a dimmer switch. Before going further, it’s important to identify the type of switch that’s getting too hot and see if it’s really a problem. A regular light switch has a two-position switch that’s either on or off. Flip the switch, or push a rocker switch, in the up position to turn the light on and in the down position to turn the light off. That’s all there is to it. There are no other features. Most are rated for 15 amps. A dimmer switch has a slider or rotating knob that can dim or brighten the lights. Dimmer switches dissipate electricity, using semiconductors and other electronic components, in order to brighten or dim a light. It’s normal for them to be hotter than regular light switches, but they should burn you or smoke. A dimmer switch has the same voltage going through them as a regular light switch. In order to dim the light, they need to redirect the electricity. This dissipation of electricity causes heat. This causes them to get hot and this is normal. The older style got hot when dimming the light. The new style gets hotter when brightening the light. They have the same voltage going through them as a regular light switch. In order to dim the light, they need to redirect the electricity. This dissipation of electricity causes heat. This causes them to get hot and this is normal. The older style got hot when dimming the light. The new style gets hotter when brightening the light. They’re rated by wattage. While a warm dimmer light switch is nothing to worry about, it is possible for dimmer switches to get too hot. If it’s too hot to touch or if it’s smoking, there’s a problem with the dimmer switch and you should turn off the electricity to the switch and call an electrician immediately. Now, let’s look at the types of problems that can cause your light switches to get hot. 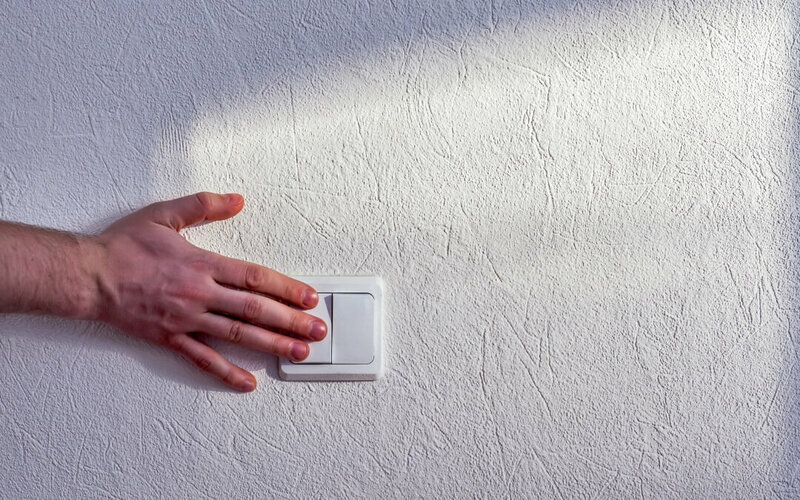 Light switches have a limit on the amount of electricity they can handle. They can overload if there are too many lights and ceiling fans connected to the switch. The switch has to draw more current than it’s rated for, which causes the switch to get hot. Most regular switches are rated for 15 amps, while most circuits are rated for 20 amps. Dimmer switches can handle wattages up to 1500 watts. Their wattage is marked on their housing. You might need to replace the dimmer switch with one of a higher rating. 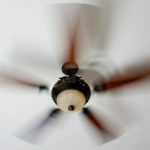 If the dimmer switch has a plastic or trim plate, they may be causing the excessive heat. Replace them with metal, which dissipates heat better than plastic. You can reduce the load on the switch by changing the bulbs to a lower wattage. For more information about the best bulbs at a lower wattage, see the article How Much Can I Save with LED Lighting? If you can’t reduce the load on the switch, then it’s a good idea to replace the regular switch with one of a higher capacity, such as a 20 amp switch. Another option is to rewire the lighting to add another switch. This will split the load between multiple switches. This option requires an electrician. Light switches are electrical components with physical contacts, screws, and a moving part (the actual switch). Dimmer switches contain internal circuitry. These components wear out over time. Bad contacts can spark or cause an electrical arc when they touch. Bad connections within the switch, such as where contacts are not fully meeting causing electricity to flow through a smaller area, can overheat. Semiconductors fail under heat and stress. Worn light switches should always be replaced. Wiring can become loose or broken, and insulation can crack, due to age or improper installation. 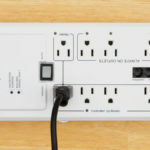 These bad connections and breaks can cause the wiring to touch just enough to cause sparks and generating heat. Wiring that is slightly touching forces the same amount of electricity to go through a smaller pathway, causing the wiring and the switch to overheat. Bad wiring can also bottleneck the flow of current, which gives off heat. Faulty wiring should be replaced immediately by a licensed electrician. A hot light switch is a serious problem and it shouldn’t be ignored. Hot light switches can damage the switch and wiring, and it could end up causing an electrical fire. Although Dimmer switches do run a little hot, even they can become too hot and cause damage. Light switches that have been hot for a long period of time will overheat the wiring, which can burn or damage the insulation. When this happens, the wiring will also need to be replaced. Damaged insulation can cause the wrong wires to touch, creating sparks and tripping breakers, which can also damage the breakers over time. Make sure you don’t have too much wattage going through your switches. Replace the switches if they’re damaged or too small for the load. Also, consider splitting the load by installing multiple switches. 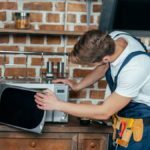 Some of the fixes are more difficult than others, but knowing what to check can help you fix the problem yourself or know exactly what you need to hire an electrician for.